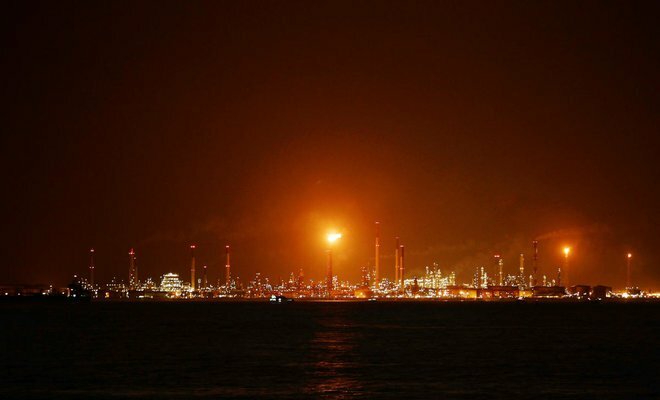 SINGAPORE: Eleven men were charged in a Singapore court on Tuesday over their part in an alleged oil theft at Shell’s biggest refinery, court documents showed. Police in the island-state, Asia’s main oil trading hub, said earlier on Tuesday they had detained 17 men and seized millions of dollars in cash and a small tanker during their investigations into a theft at the Pulau Bukom industrial site. Nine Singaporeans were charged over the theft and two Vietnamese nationals were charged with receiving stolen goods, transferred from Pulau Bukom to a small oil tanker named Prime South, charge sheets showed. Shipping data from Thomson Reuters Eikon showed the Prime South was shipping fuel between Ho Chi Minh City, Vietnam, and Singapore for the past 30 days. Those arrested by police during raids on Sunday, all men, ranged in age from 30 to 63. Police said the six who had not been charged were still under investigation. The court documents seen so far allege three incidents of gas oil theft: on November 21, 2017, of more than 2,322 tons valued at S$1.277 million (SR3.6 million); and on January 5 and 7 this year of a combined 2,062 tons of gas oil valued at S$1.126 million.